Our new Bullpen Cart is ready for game-day action. 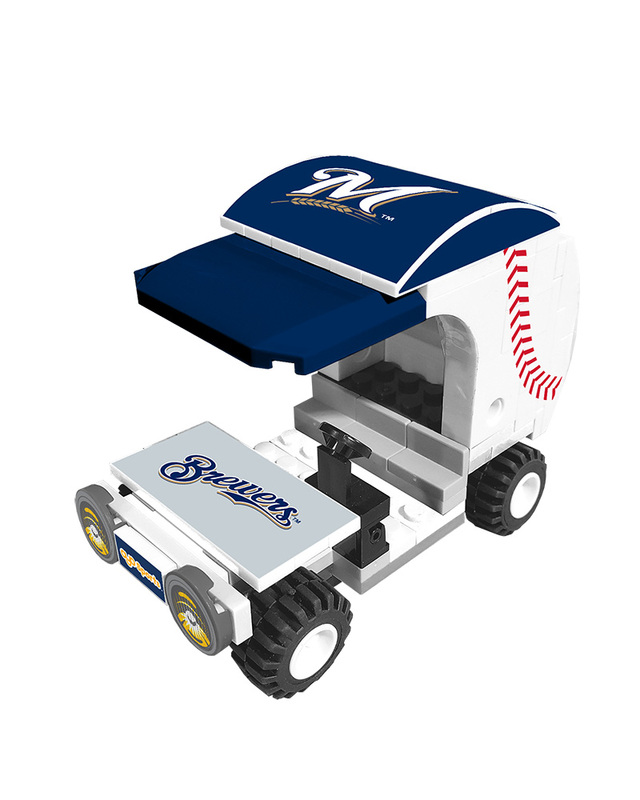 Bring your favorite pitchers to the mound, or just have fun having your minifigures drive around in this new cart. Made to look like the famous Bullpen Carts of the 70's that are coming back into use, these are customized for your favorite team! 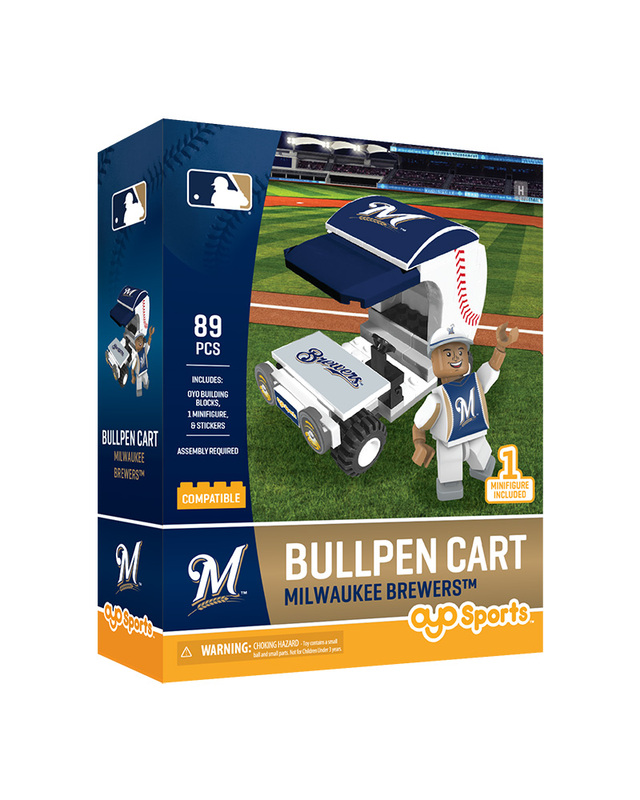 A unique team minifigure comes with this Bullpen Cart, so that you have a new fan for your favorite team! 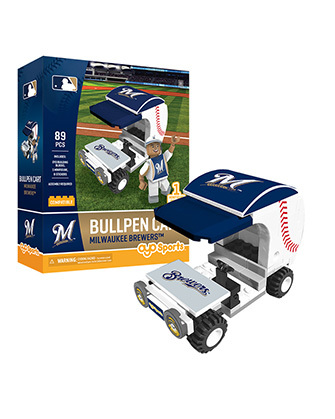 Includes: Team decals, Bullpen Cart with team colored brim, steering column and 4 rotating tires. 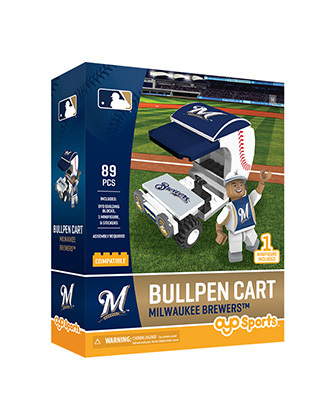 1 team-branded super fan minifigure, fully articulated and able to play baseball.